Making a decision about which college to attend feels like a monumental challenge. How do you pick the place your student will be living the next four to six years of their lives? What if they choose the wrong college or major? How can you help direct them without steering them in the wrong direction? Here are some common mistakes parents make when helping their students decide on a college. 5. Not starting early enough. The earlier you start talking about college, the more your student will understand and have a good idea of what it is they are looking for in their education. Some advisors recommend thinking about college in elementary school. While that may seem a bit drastic, the main idea is to make sure your child has a love for learning and a solid foundation at an early age. Most experts agree the high school years are critical to preparing students for college. Starting around 8th grade, students should be encouraged to think about possible careers they may be interested in. Have them look at taking elective courses that match their interests and participate in clubs or after school activities that could foster their interest. Follow our timeline to planning for college and meeting deadlines. 4. Not taking college tours seriously. School tours can be a great opportunity to see what the college can do when they put their best foot forward. The school is going to try to show you the best aspects of the college, but you should use the college tour to try to get the whole picture (warts and all). Make sure you ask good questions and take copious notes. Once you’ve seen a few campuses, they will start to run together so the better notes you have, the better you’ll be able to remember what distinguishes one college from another. Ask questions that can have a direct impact on your student by focusing on the quality of instruction instead of the type of technology they use or the capacity of the athletics facilities. For example, what is the average number of students per classroom? What is the percentage of full time faculty? Check out Tips for the Perfect College Tour for more tips and questions. Another tip is to make sure to give yourself plenty of time to do tours. Don’t try to cram a bunch of school tours in a short period of time. You’ll want to be able to reflect on each tour after it happens so you and your student can make an informed decision. 3. Not taking time to consider personality and interests when choosing a major and college. Your child’s personality is well-developed by the time they are a teenager and surprisingly static over time. It will affect their choice of major, college and future career. Don’t try to force a square peg into a round hole or vice versa! The marriage between college and major is an important one, however, many students and parents ignore one or the other. They may focus only on the quality of the university as a whole without looking at how the major ranks. Others may pick a major without fully thinking about the college they’d be attending. Think about your student’s personality – will they excel in a large public school, or do you think they’d be happier learning in a smaller school? What about university location? Urban versus rural? All of these factors can play into how successful your student will be. If they hate the school or their major, the chance of them making it through to graduation will lessen each year. In many ways, deciding on a college and major is a lot like choosing a car. 2. Pushing your child toward a specific school when they are reluctant. It’ll be hard for you to hear this, but now is not the time for you to extol the virtues of your alma mater. This is your student’s decision and while you definitely need to help steer them in the right direction, you must consider their needs before your desires. Don’t pick a school just because it has brand name recognition – just because a school is well known doesn’t mean its right for your student. Be sure to evaluate schools based on your student’s interests and personality. 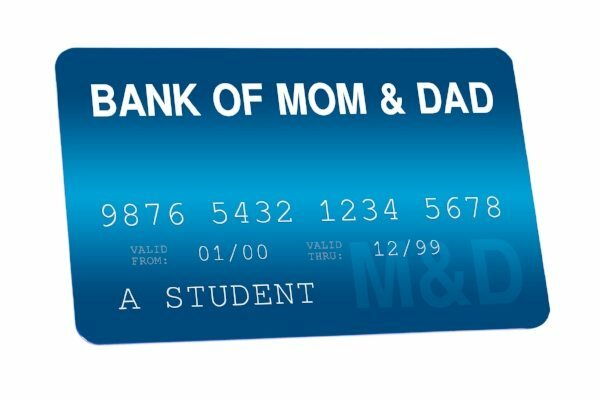 Be honest with your child about what you can and cannot afford when it comes to college. Don’t ignore finances. Be sure to fill out the FAFSA and be prepared to talk to your student about realistic expectations. A great GPA alone won’t pay for a prestigious private school. Make sure to find schools that are within your budget and something that you can sustain the full four (or more) years. Make sure you are educated about how financial aid works. For example, some schools front-load financial aid packages to make them attractive to freshmen but begin to reduce financial aid as the student progresses. Other schools will not offer enough financial aid at all in an attempt to discourage low-income students from attending. Use a tool like Cost Cutter to identify hidden costs and compare financial aid plans to make sure you’re getting the best deal. Bonus Tip: Sign up for your free College Factual account! It would be a huge mistake not to take advantage of all of the free data and tools College Factual provides to make your college search easier. Get started today!